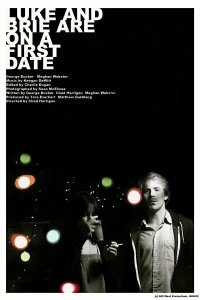 After that disappointing loss of the teaser trailer below, I had to find something to make it up to you folks.. luckily I found this little indie gem about two twenty-somethings on a first date that is beautifully shot. Luke and Brie are on a first date, but the hazards of this term, and the incessant need for casualness keep their evening ebbing and flowing between flirtations and misunderstandings. For Luke, itâ€™s a night filled with questions and opportunities, if he can only keep Brieâ€™s interest away from three smarmy office workers, two hipsters with a pizza and one â€œold friendâ€. Over the course of the date, the two will navigate both the social jungle of Los Angeles and the complicated landscape of attraction, leaving Luke and Brie both with a night theyâ€™ll never forget.